Tim and I were hungry for some culture-shock. 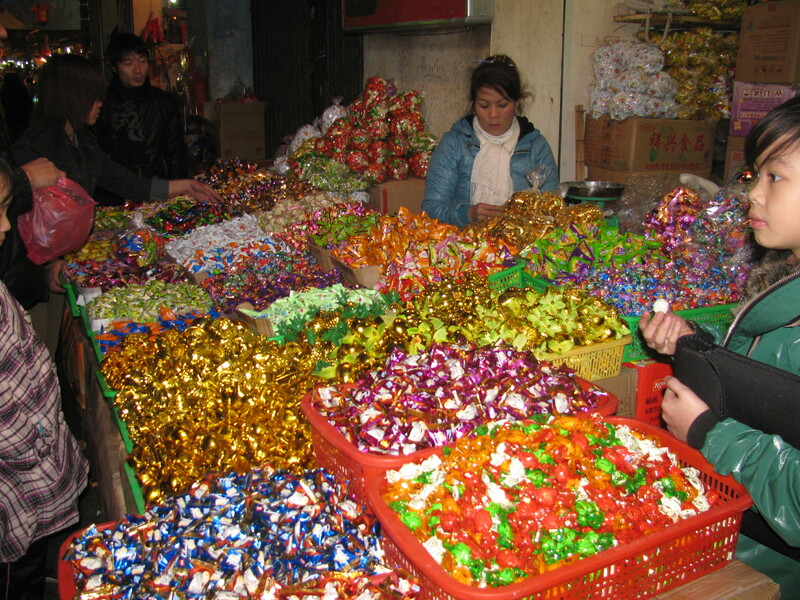 Too many of the places we traveled had been a little too catering to western travelers. 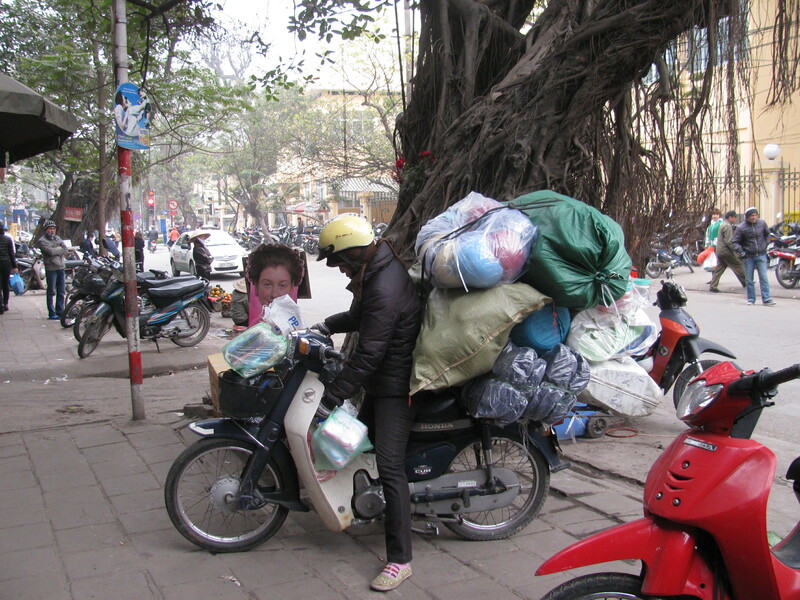 We wanted to drop our jaws at the strangeness of a country, and it seemed that we never had time to shut them when we were out and about in Hanoi. Here are some of the scenes from our days in one of the most bizarre cities on earth. 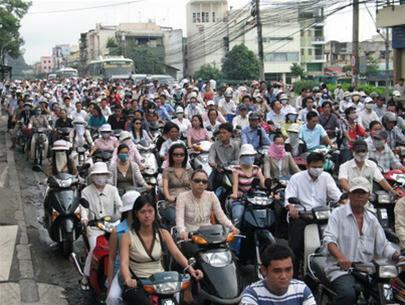 Pictures can’t describe Hanoi traffic. It is a sight to behold. Crossing the street is what I have deemed “walking on water.” Traffic never stops and there are no lights or cross walks so you just walk. And when you do the traffic weaves around you like magic – but never walk too fast, only at a standard deliberate pace. What we call "Motorbike as a Minivan"
The orange tree represents spring coming. Every motorbike seemed to have the tree on it. 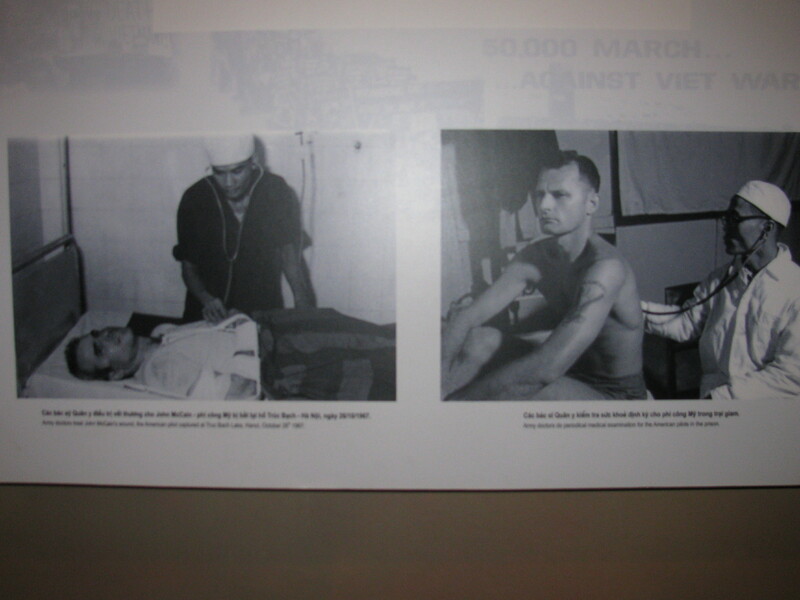 Even We had been warned that being an American in Vietnam could earn unkind treatment from the Vietnamese, but at the end of the day we seemed to have a better experience than a lot of Australians, French, and other nationalities we talked to. Even so, there were still signs we were in a country that had been at war with us, not all that long ago. 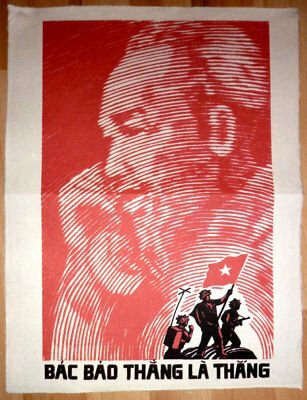 At any of the museums or sites we visited in Vietnam that were related to the war, we found that the information that was given was heavily propagandized. We found ourselves constantly doing online research to check on information given to us by a tour guide, or something we read. The information was always either exaggerated or completely false. American soldiers referred to the Hanoi Prison as the "Hanoi Hilton" and the Vietnamese decided to take the term literally. the pictures and captions go out of their way to show how well the prisoners were treated. 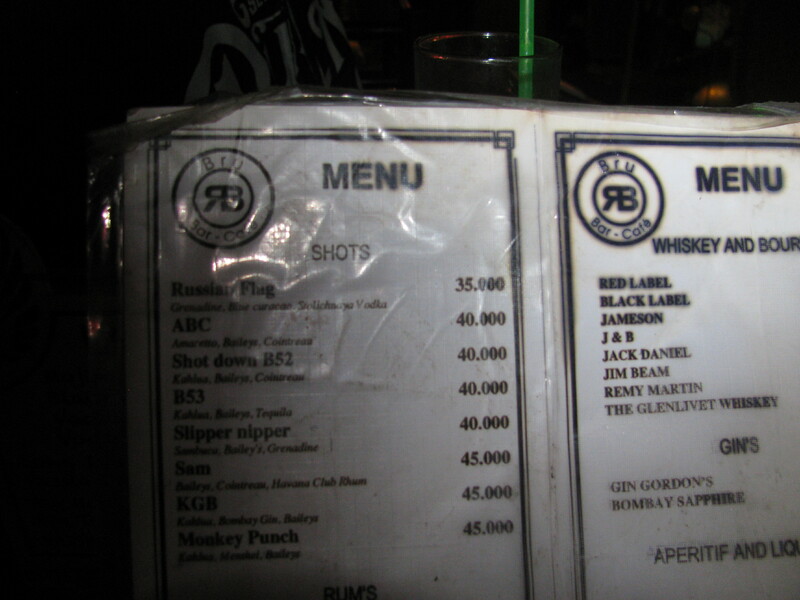 If you want to order a B-52 in Hanoi - they come "shot down"
Maybe with all the chaos in Hanoi, many people would want to get out as soon as possible (I mean on top of everything else is was cold!). But we couldn’t quite tear ourselves away. 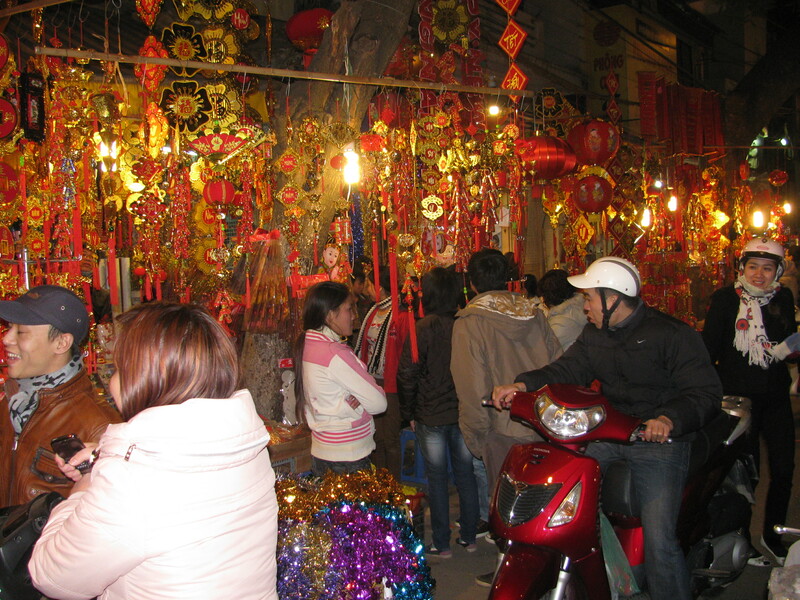 True, with the madness of Tet, we had trouble getting a train out of the place, but there’s something amazing about the sensory overload that occurs when you walk down a street in the Old City. 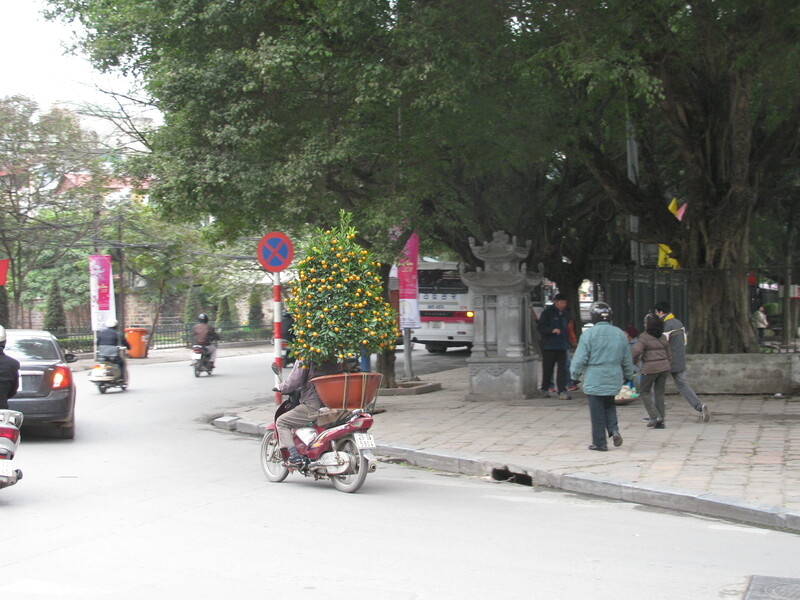 The Vietnamese are loud, impatient, and ruthless – and we decided we liked them for that. education of post war culture and I think you got it ! Can’t wait to hear more stories when you get back. Hope it’s soon.